After yesterday’s grand tour through this city, we slept in a little bit and then treated ourselves to a fantastic breakfast spread — including yogurt, walnuts, fresh fruit and honeycomb — in the Sirkeci’s restaurant downstairs. 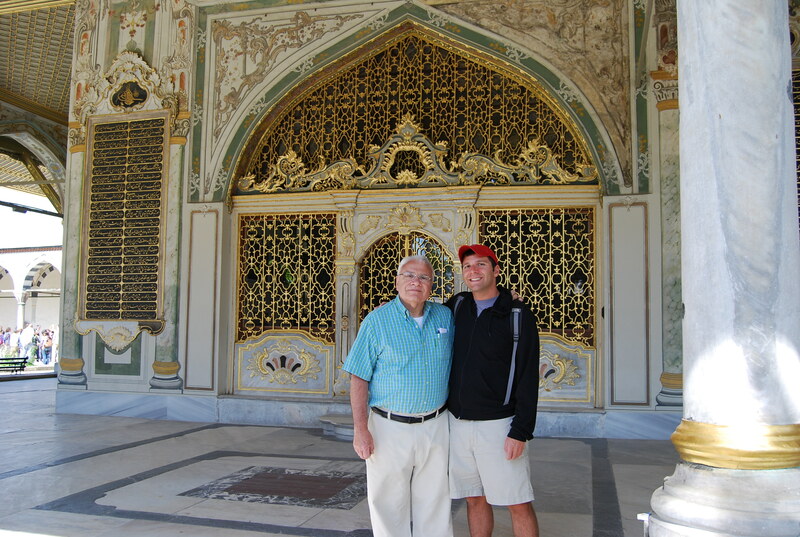 Properly fueled, we started out on the short walk to the Topkapi Palace, the second home to the Ottomans in Istanbul. 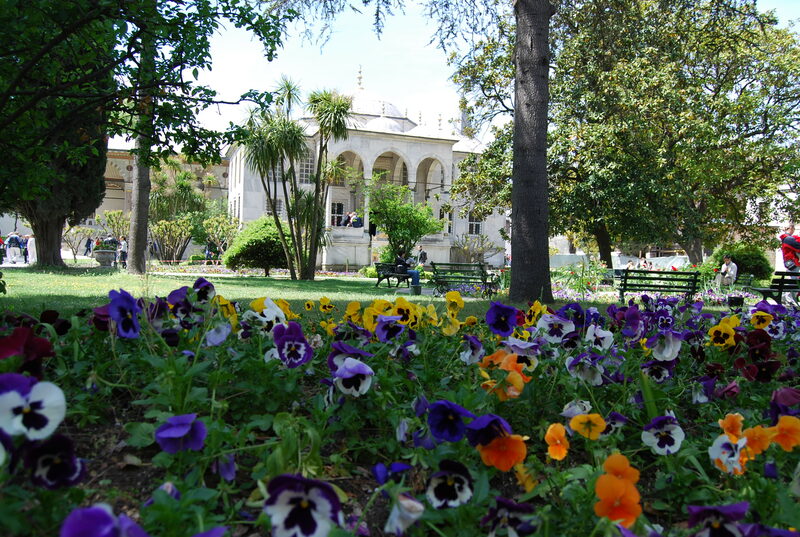 Since construction on it was completed in 1478, twenty-five sultans have lived in the palace. And, at about 173 acres, it’s certainly a home fit for a king. After walking through the palace’s four courtyards, we explored its many impressive exhibits — the 5th largest diamond in the world is housed in the treasury, Islamic holy relics like a footprint of the Prophet Mohammed are on display in the Sacred Safekeeping Rooms, and the kitchen showcases the third most valuable collection of Chinese porcelain in the world. 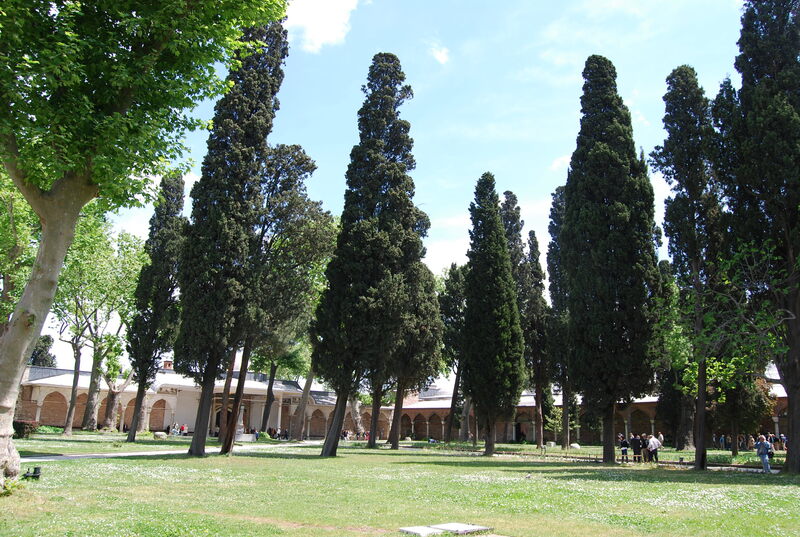 There’s a certain simplicity and practicality to the Topkapi Palace, but no restraint in its grandiosity. We easily could have spent a day or two simply exploring its every nook and cranny. With only three days in Istanbul though, we gave it the whole morning. Afterwards, we made our way to the Spice Bazaar for some lunch. 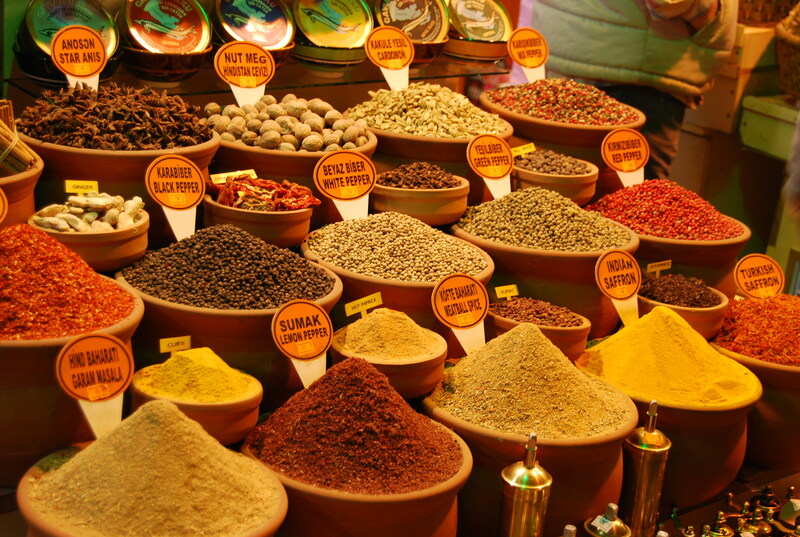 This market was constructed in the 1660s — today, stalls are filled with dried fruits, Turkish delight, and, of course, spices. With the memory of 3-foot tall cones of delectable spices in Morocco still fresh though, Turkey’s spice displays were, well, a little disappointing. 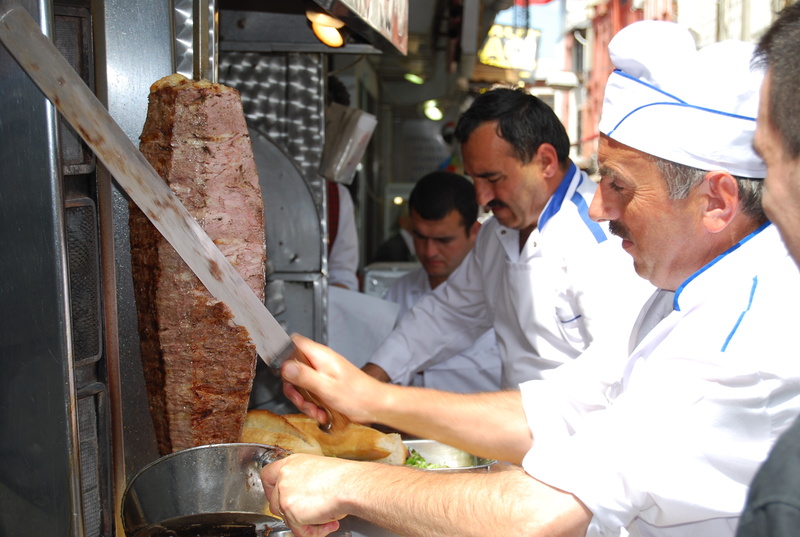 The country does, however, make up for this shortfall with the delicious doner that is sliced on literally every street corner. 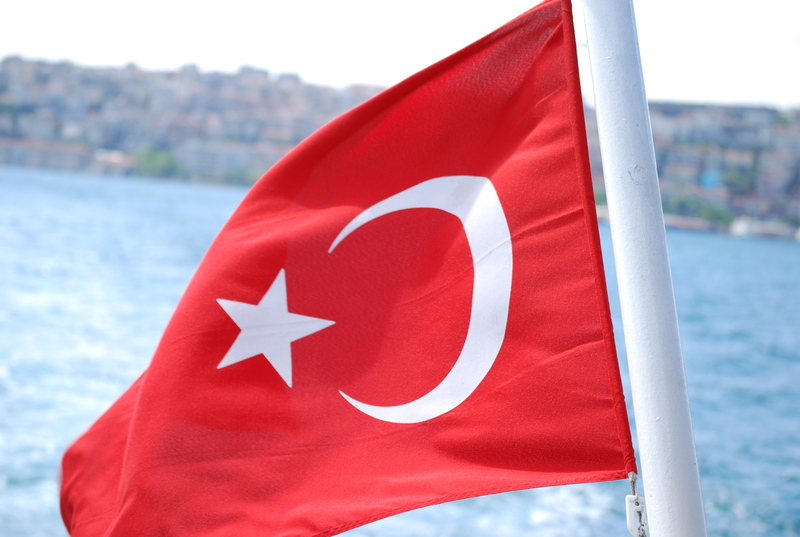 The Bosphorus Sea is a body of water that runs about 32 km, from the Black Sea in the north to the Sea of Marmara in the south. It has a storied history — Ulysses’ is said to have traveled through here — and is, quite literally, the divide between the eastern (Asian) and western (European) sides of this city. 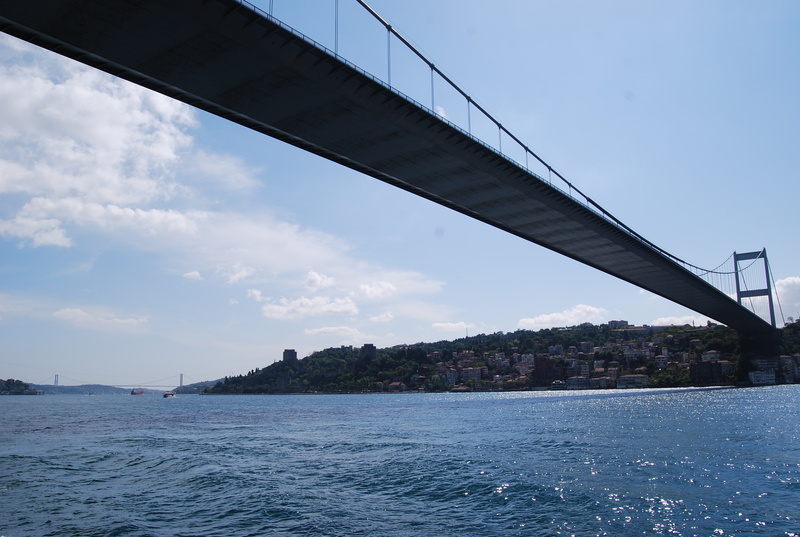 The building of the Bosphorus Bridge in 1973 was more than just the construction of the world’s fourth-longest suspension bridge, it was the first physical link between these two continents. 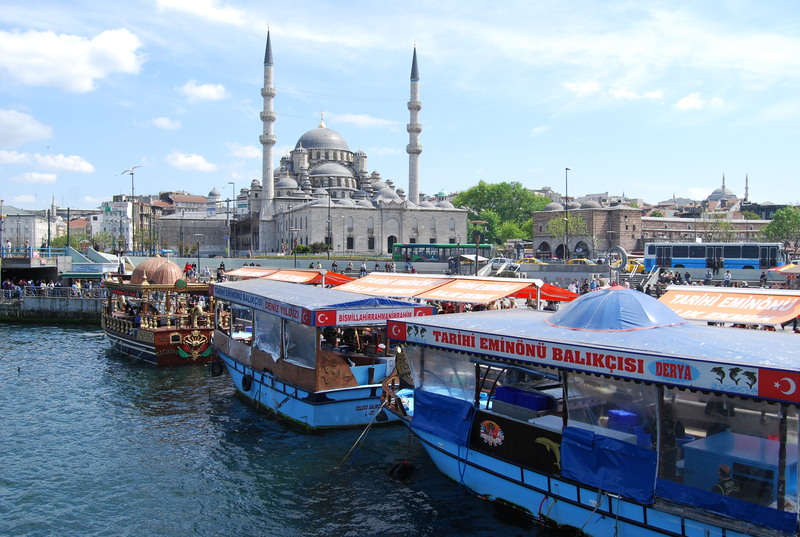 Wanting to experience this, we thought a ferry ride would offer a good introduction — as well as a unique vantage point to see Istanbul. We were surprised to see such a difference between the two shorelines. While the Asian side was largely residential, with parks and huge single family homes lining the waterfront, the European was much more commercial, with apartment buildings, cafes and factories. 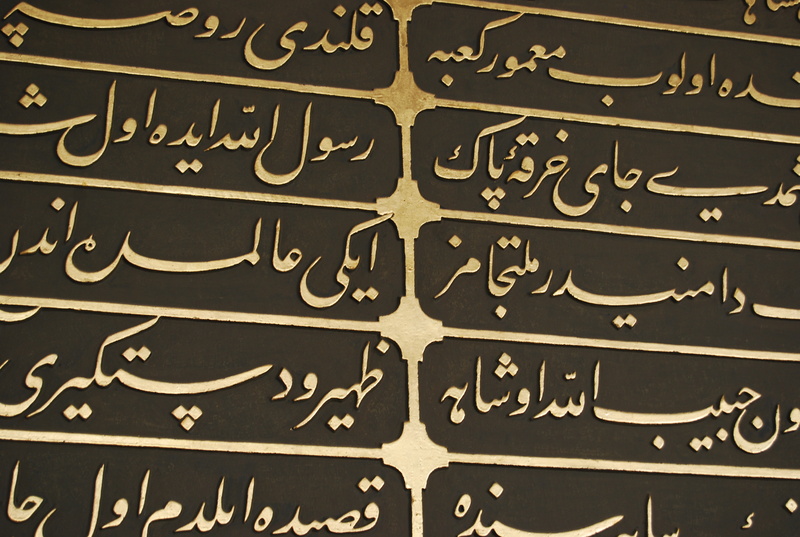 Stepping foot back on land, we headed back to the Sirkeci’s wellness center again. Properly relaxed after an hour in the sauna, Turkish bath and plunge pool, we went out for quick dinner before returning to the hotel in order to rest up for our last day in Istanbul tomorrow. It might even include a haircut. Now, that’s exciting!